Trusting that you will make things right, If I surrender to your will, So that I may be reasonably happy in this life And supremely happy with you forever in the next. It lasted for only a second. Previous flashbacks had involved one or maybe two of my senses. But this time I not only saw him, I also experienced his presence through my sense of touch, smell, and taste. The touch, smell, and taste were not defined, but I knew they were present. It was the first time I’d had a multi-sensory flashback. Pondering this particular flashback, I’ve realized that I was there. 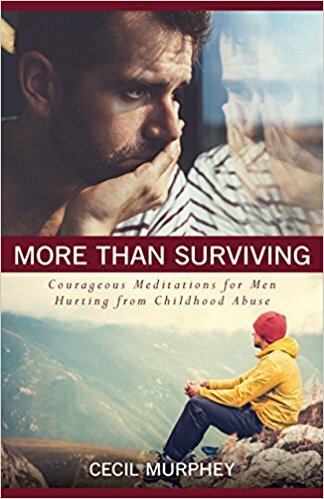 When I was abused, I was not watching from a safe distance. I was there and my mind was recording what my senses were experiencing. I suppose in some ways I’ve looked at my abuse as one dimensional. I’ve acknowledged it happened, but have not allowed myself to fully grasp its reality on a sensory level. This is what the flashback is starting to restore. Perhaps this flat, one dimensional view accounts for my inability to fully grieve the past and embrace today. If I have been guarding myself from accepting that I was really there, feeling, smelling, tasting, hearing, seeing; am I also inadvertently blocking myself from experiencing life today? Is this why I feel sensory overload at times? I’m a bit nervous about future flashbacks. I also know that God uses flashbacks to help me open up more of my wounded places. 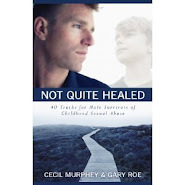 He wants to heal those places, and he can’t while I’m denying their presence. And I also take comfort that he will not require me to remember more than I need, in order to continue my healing. I don't know how he got my telephone number, and he never told me his name. 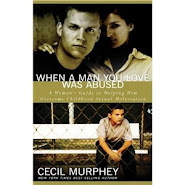 As soon as I identified myself, he blurted: "Why should a man tell anyone about his abuse?" He didn't respond, so I said, “You might use medication to shrink that tumor. It would likely take place over a period of time, but you could do it." Before we hung up, I gave him one of my original maxims: I know of myself only what I say of myself. By that I meant we have to speak the words of our pain to someone else for the healing to begin. "Survivors need other people," I told him. "If you don't want to start with a spouse or a good male friend, go to a professional. What If I Became an Abuser?